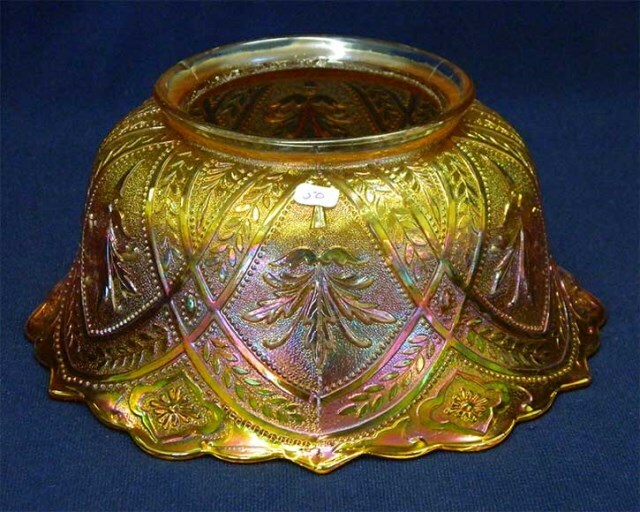 This unusual piece appears to be a lamp shade that did not have the center cut out for the mounting hole. 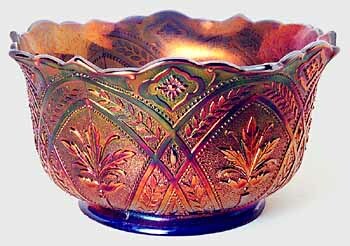 It's in a strong cobalt blue with rich purple iridescence and has the Northwood mark. 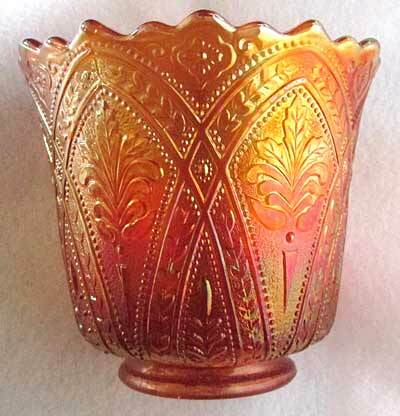 The above photo of an Olympus electric lamp shade in marigold was sent to me by Carl and Eunice Booker in 2013. It's four inches tall. 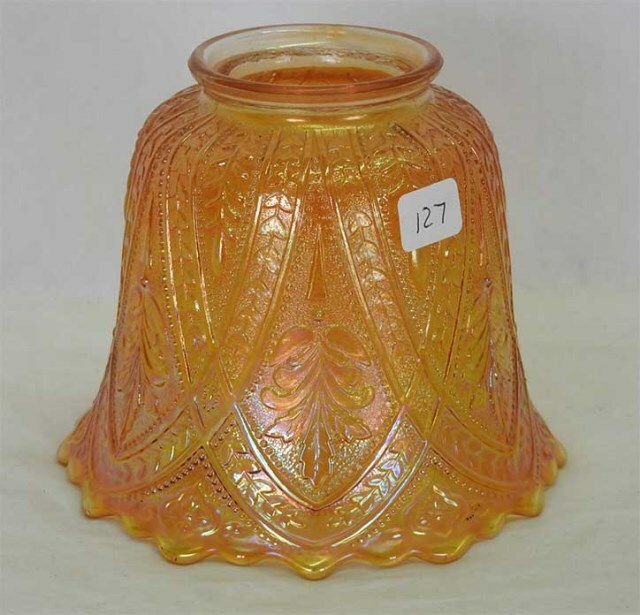 Above is a marigold gas fixture shade that sold for $120 (with a rim nick) in 2014.